This summer I have been fortunate enough to be offered a summer camp position in an urban ESL(English as a Second Language) camp. While this is great news for me career wise, it is a sad day for me site wise. I have decided to step away from the blog for a while so that I can concentrate on camp and making it the best experience for my campers. During that time I will also evaluate the site. The blog has grown in leaps and bounds and I’m grateful for that but it’s also a time consuming thing to keep up with. I don’t want the blog to stop, in fact while I’m away I would love for some guest bloggers to post on the site. If you are interested in this opportunity please email me and let me know! Thank You for your loyalty and Enjoy your trip! Open on May 2nd: Tea, Kiosk, and Achray campgrounds in addition to Mew Lake (year-round). As well, permits will be issued for the Western Uplands and Highland Backpacking Trails. Be advised there may be flooding in some areas. 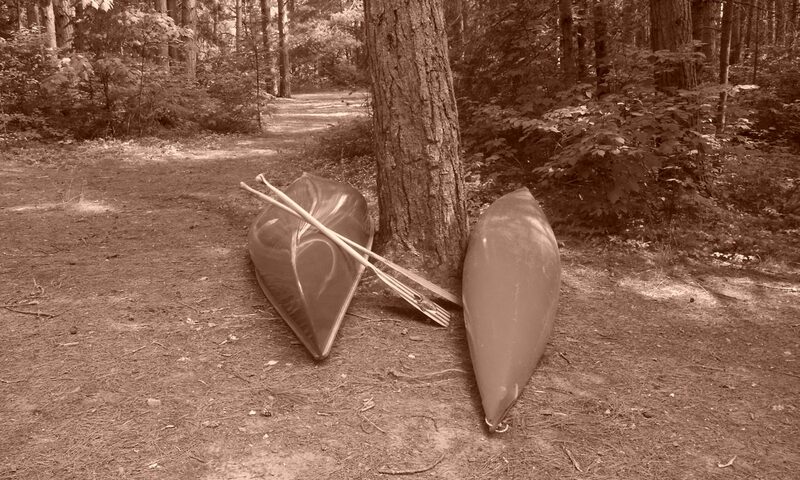 Open May 6th: Permits will be issued for interior canoe trips except for Kingscote (southern tip) as there is a washed out culvert making it inaccessible at this time. Rock Lake and other areas are expected to be open on time for May 10th. With the camping season starting and the long weekend close at hand, it may be time for a quick refresher course on the rules of the campgrounds….especially the ones pertaining to alcohol bans during the season. Keep the volume of the music and your voices at a respectable level. Drinking Alcohol is only permitted while on your designated campsite. You are not allowed to walk around with it. It is against the law to destroy or remove anything from Provincial Parks. I have seen people evicted for cutting down trees for firewood. Please clean up after yourselves. This environment is on loan to us and we must take care of it to ensure that it’s around for years to come! Some parks may have more specified rules than others! Have fun as we dip our paddles into the lakes this summer and enjoy our times with friends and family. To plan on the go (weather bulletins, road maps, directions) and to monitor their home security. Some of these reasons are valid like connecting with family or being able to plan on the go…you never know what the weather is going to do and you need to be able to change plans. However, I go away to Algonquin to get away from work….I may receive texts while I’m there but I ignore them until I get home. I am one to tweet or check-in while I’m in Algonquin if the cell service allows me to but I blog about the park and I want people to know the various things they can do. That being said…if I don’t have service I don’t worry about it. This decision though makes me wonder about the future of WiFi in Algonquin and it’s got me thinking….why can’t we just take the opportunity to disconnect from the world around us and connect with our families? To me it’s a no brainer kind of question as I grew up when there were no cell phones, other than the huge Motorola’s, or WiFi. We played outside until the street lights came on and we went camping every summer, all summer as a family. Going camping is great fun for the whole family. If its your first trip it can be a little daunting. Here are some general things to remember when staying within any organized campground. Staying on a hydro site may be more convenient for your hairdryer and tv but do remember they cost more. You’re here to enjoy the great outdoors and most trailer batteries will last a long time if you use them sparingly. Be courteous of your fellow campers. We don’t all want to hear you new speakers or loud parties especially at night. Remember that there are families around you and people who are there to enjoy the peace and quiet. If you are there for the quiet, then perhaps look into the Radio-Free sections. Music is only allowed if you use headphones. Driving everywhere in the campground is not necessary and will cause problems with the eco system in the future. Besides walking after dinner and around the campground is a great way to relax and enjoy the surroundings. Take advantage of the activities available. Most provincial parks have an evening interpretive program and a lot of them have museums and hiking trails. There’s a program that teach the kids how to take care of the park so that it’s around for years to come, called the Good Camper Program. Utilize them, you’ll learn a lot about the park’s history that way. Make sure that your food is properly stored. Countless times there have been bears spotted within campgrounds because people have left food scraps out or didn’t lock their fridge up at night. (Believe it or not, last year someone at Canisbay lake tent camped on a hydro site and brought with them on a trailer a FULL SIZE FRIDGE AND FREEZER. They left said fridge/freezer unlocked. Needless to say…that night we had bears in our area). Prepare for rainy days. If you are camping with the kids bring along lots of rainy day activities like crafts or books. It makes the time go faster and they are occupied rather than saying “I’m bored”. For some great rainy day activities/crafts check out my Pinterest Board. If you are camping with kids then entertaining them could be challenging if they aren’t accustomed to being outside for long periods of time. Have a bucket of games, puzzles, and books that they can read/do. Go on nature hikes and discover the park. I have another Pinterest Board that can give you some more activity ideas. Take advantage of canoe rentals if you don’t have your own canoe or you want to try it for the first time. At Algonquin Park you can rent canoe’s on your way into the park from Algonquin Outfitters in Huntsville or at their Oxtongue Lake location. You can also go to their Opeongo Lake location or have a canoe delivered to your campground from the Portage Store. Prices vary so check out your campground bulletin boards. Take time to relax and unwind. This is your vacation so treat it as such and return to work fully refreshed afterwards. Most importantly…spend time together as a family! It builds memories that will last for years! Kids don’t remember their best day gaming but they will remember the time you spent with them. Travelling to any Provincial Park is difficult if you don’t have a car at your disposal. I’m one of those people who rely on other forms of transportation when it comes to getting into Algonquin. Even though we don’t have the option our ancestors and Tom Thomson did years ago when it comes to getting into Algonquin Park, there are still a few options available to those who don’t have a car. Ontario Northland: Since I’ve posted this you are only allowed to take the bus now to Huntsville. You can then take a cab into the park from there…be warned it is an expensive option unless you have family/friends in the area. Greyhound: You can take the greyhound to Maynooth which is at the south east tip of the park. There is an outfitter there (Algonquinbackpacker.com) that offers daily shuttles into the park. Overall the Park bus is your best option. You are not able to take Canoes on the bus but it does stop at Algonquin Outfitters on Opeongo Lake where you can rent canoes as well as the Portage Store. The bus will also drop you off at two campgrounds: Pog Lake and Lake of Two Rivers. Two Rivers has a store on site so you can grab any groceries that you need like your perishable foods. I hope this helps you try to find the best way into the park this summer…I plan on riding the Park Bus again this summer! I was up in the Algonquin region yesterday and I’m sad to report that the lakes around where I was were solid ice still. Its still going to be quite awhile until we are able to dip, dip, and swing! What are you doing to keep from going stir crazy? More than ever before, Algonquin will become my hide away. Before Christmas my dad was diagnosed with Leukemia – which is a blood cancer. It’s been not only a rough road for him but also the rest of our family. Algonquin is known as the wilderness playground. It offers beautiful vista’s, picturesque lakes, and a chance to get away from it all. Often explored by outdoorsmen and families it is a great get away. But what about it’s ability to heal? I’m not talking physical healing where you go and you’re cured of whatever ails you. I’m talking more of emotional healing. Over the last 5 years Algonquin has become my hiding and healing place. When I lost my mom I immediately went into survival mode. I had a family to care for and as the oldest I felt responsible. When mother’s day came along I went to the one place that I felt whole…Algonquin. Being one with nature, miles away from the everyday, in the serenity of that beautiful park gives you time to think and to reflect on things that you often can’t focus on in the busyness of life. The thing about Algonquin is that you don’t have to go far into the interior to begin to feel the healing powers of the park. For me often all it takes is a hike up the Lookout Trail and sitting on top of the lookout to start to feel at ease and less anxious about life. I always have a notebook, a camera and a pen with me. That way when I need to I can write what I feel and help sort out what’s going on. The other place f0r me to get away as weird as it sounds is on Canoe Lake. The mysterious lake already hides a great mystery so I feel at home there. Sometimes I climb up to the cairn…other times I go to the Joe Lake Dam. The cairn is where Thomson often camped so I feel at home there. Another way that I find healing in the park is by camping solo! It may be within a campground where you are close to people if you’re new to this…or it could be jumping in the canoe and going on a 2/3 day canoe trip. The key thing is…do what makes you feel in control and relaxed. Other times you may feel that you need just a day. That’s cool too! My life may be in a bit of turmoil emotionally at times but I know that there’s a place out there where I can become whole again and have a different outlook on life…a positive one. I hope that you can find a place or spot within the park that you can call yours to get away from everything and heal. Why Do I Go to #AlgonquinPark? People I’ve met over the years have often asked me why Algonquin? What’s so special about it? Those who have been to Algonquin many times get it and understand. It’s hard to describe that feeling I get when I’m in Algonquin. It’s one of peace, serenity, and the feeling of being able to breathe. As I said it’s hard to truly understand but I’ll try to explain. When you live in the city and go through the daily life you sometimes find it hard to breathe. That life is passing you by and you are missing everything. Algonquin is my place to breathe, to take in life, and to get rid of all the stress that builds up during the year. I was introduced to Algonquin when I was around the age of 2. I don’t know what exactly we did whether it was a canoe trip or just a camping trip and I really don’t remember the trip at all but there is photographic evidence down in my basement. I’ve grown up there though pretty much every summer since I was around 5/6. It has been my summer vacation playground. My home away from home. It’s where I learned how to canoe and be considerate of nature. It’s where I discovered who I am as a person. It’s where I watched my mom come alive. Where my family felt the closest with no worries or fears. When I saw my mom in Algonquin camping or at our Dorset cottage she was a completely different person. It was like all the stress of the school year melted away and she was able to relax with us. She was happy all the time but she was even happier when we were camping. It wasn’t uncommon for her to make friends at the campgrounds that have ended up being life long friends. She sat on the beach either reading or knitting, talked with other mom’s, or swam in the lake with us. There were many times where we would swim from the beach in Canisbay lake to the island across the way or we went for a canoe ride at sunset. Algonquin is my place to run away from the everyday. It’s my sanctuary, my place to breathe, my place to live. Part of me is baffled that there are many many people out there that haven’t had the opportunity to experience it like I have. My family used to go on overnight canoe trips. My dad took us kids out for two or three nights at a time. When we bought a cottage I started to lose that love I had for Algonquin…it was harder for me to have the same feeling and I turned away for a few years. It wasn’t until I was older and I started camping by myself that I realized how much I missed it. My love for Algonquin is the main reason I started the blog. I love being able to share my experiences with others. I love helping people discover what Algonquin is all about and hopefully discover how much they love it. Algonquin isn’t for everyone I know that but one can dream. I hope this makes it a little clearer about why I love it. And this is their paddle board folded up…. Yup that’s it! It’s folds into a backpack the size of my Eureka Dry Pack! Inside that backpack is your SUP board, your paddle, your leash, the pump, and a guage. For those who travel by Parkbus to the Provincial Parks…this is your answer to how to transport something like this up…this will fit easily under the bus! Live in downtown Toronto but can’t take your SUP board onto the subway to get down to the lake? Just throw this on your back and away you go. Don’t get me wrong…I don’t work for the company…but I know an ingenius product when I see it and I want to share it with you! I’m looking forward to testing one this summer! In case you’re interested…the price point is about half compared to other companies. They are only $750 for the model that I showed you…which is a show special right now and it includes the taxes. Plus you get everything I told you about! If you are still set on getting a regular hard SUP board they also carry ROGUE paddle boards! Next week I’ll be chatting more with Scott and Peter from whaSUP about their product while at the Outdoor Adventure Show! If you want to find out more about them visit their website: www.whasup.ca, follow them on Twitter: @whasupboards, or check them out on Facebook: www.facebook.com/whasupboards. The Outdoor Adventure Show, in my opinion, is the best show to visit in the off-season if you’re a paddler or camper. Everything that you could possibly want or need, whether it’s tripping advice from Algonquin Outfitters or a new canoe or paddle, you can find right here. Sure it’s not every outfitter or canoe company but you are able to comparison shop in a way. The one thing I am finding though is that the show is very repetitive. Same exhibitors, same layout, same thing. It’s time for the show to grow and take over more space so that more people can show off the products they have. Otherwise you’ll start losing visitors. This year the show added an Adventures in Paddling Stage where they had various people speak including Hap Wilson, Preston Ciere (Portageur.ca) and Kevin Callan. As always they had the demo pool where this year things got a little furry! Preston Ciere and his paddling dog Nancy were showing how to take our furry companions on canoe trips. Something else that they added this year was a zip line above the show floor. There were a ton of people who took part in that. I myself didn’t feel like waiting in that line up but I still would have done it :). Over all it was a great day. I got to meet up with some old friends from Algonquin Outfitters and Swift, met a new friend from Some Eventful, Gayle, and got a chance to catch up with some of the speakers from TEDxAlgonquin like Preston Ciere, Kevin Callan, and Boris from Parkbus!